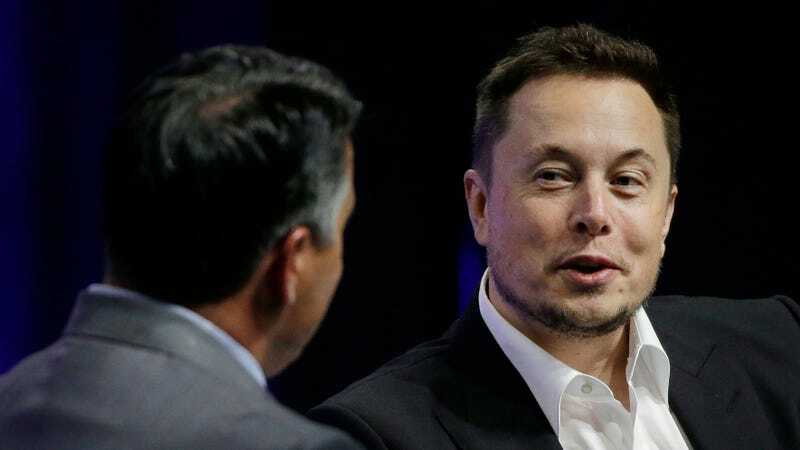 A couple weeks back, Tesla CEO Elon Musk sent reporters on a wild goose chase over (possible) plans to send a Roadster into space aboard one of his toy rockets. He told The Verge it was legit. Then he said it was “totally made up.” And then a source told the news outlet it was real. Why’d he spend a weekend screwing with reporters? Because he knows he can, and it’s so goddamn tired. The backlash was immediate, justifiably so. Can you think of the last time a serial killer terrorized a subway system? About 15 minutes later, he picked out one observer in the crowd, and called him an idiot. Musk has all the money in the world, but as he’s clearly shown, he can’t stand any criticism. Of course, the guy has every right to defend himself, but what’s the point? Why, amid the frantic schedules of running several companies at once, does he feel it’s worth spending his evenings calling people idiots for—in this case—rightly criticizing his viewpoints? The majority of business owners of his stature don’t. His argument that Wired took the comments out of context to is a wild stretch. The Boring Company, a joint tunneling-hat venture Musk runs, hasn’t offered a clear picture of what it’s doing to date. Is it a company to make cars go faster and ease congestion (which it won’t accomplish)? A public transit system? A way to simply speed up how fast we dig tunnels? He’s a significant public figure; of course his comments—however off the cuff and brief the digression may’ve been—are newsworthy. He should learn to accept this. And I only say this because he has a lot on his plate. Musk is happy to sell hats, but meanwhile, there’s no clear sense at whether Tesla’s improving Model 3 production—save for a scant article or two. His focus should be on making sure the half-million reservation holders for the all-electric sedan—which he aims to be the first Great And Affordable electric car in the world—gets their car before the world expires. Instead, he’s focused on picking petty fights with a news outlet and an observer who finds his public transit remarks to be unseemly. Which is strange; he should expect this by now. He just last week sent reporters on a fishing expedition to figure out whether he’d send a stupid roadster into space because he knew his words have meaning and that he could do it. Just get off Twitter, dude. It’s irrelevant in the grand scheme of life. It plays no role in your bottom line, save for a few hats. The only thing it’s good for is owners who try to reach you to fix their door handle. If you’re actually in it to try to make electric cars accepted en masse—some don’t feel you are!—then maybe the focus should be on the car you’re trying to make for that specific reason.